Lakewood, CO – March 1st, 2018. 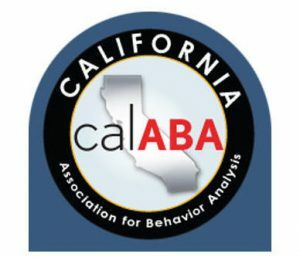 Trumpet Behavioral Health (TBH) has announced that several of its team members will present applied behavior analysis (ABA) research at the 2018 CalABA Conference in Santa Clara, California. This is the 7th year that TBH has presented at the industry event and the 36th year for the CalABA Annual Western Regional Conference on Behavior Analysis. Amber Valentino, Psy.D., BCBA-D, Paula Braga-Kenyon, Ph.D., BCBA-D, Ashley Matter, Ph.D., BCBA, Catherine A. Miltenberger, Ph.D., BCBA-D, and Jennifer Herbert, M.A., BCBA will all present research at CalABA on behalf of TBH. The research ranges from the application of behavior analysis principles to teaching complex verbal behavior to children with autism. Dr. Braga-Kenyon will serve as a panelist for a discussion called “The Turnover Rate is Too Damn High!” on March 9 at 1:30pm. She will also serve as a panelist for the discussion entitled “Language, Tradition, & Treatment: Clinician Awareness of Multicultural Issues & ASD” on March 10 at 1:30pm. Dr. Matter will present her research as part of a symposium on March 10 at 3:15pm. The focus will be on group contingencies, token reinforcement, equivalence-based instruction and behavioral skills training as part of ABA therapy. Dr. Herbert and Dr. Miltenberger will present in a symposium entitled “Walking the Walk and Talking the Talk – Using the Principles of Behavior Analysis to Monitor Staff Behavior” on March 10 at 1:30pm. The focus of their talk will be on the application of effective performance feedback systems for ABA staff. “The ability to share our research with other ABA providers in the field is a great honor, as it is an opportunity to expand Trumpet’s reach to help children and families who do not live in the seven states where we currently have ABA service areas. Our research makes a tangible impact on the way other ABA providers treat children with autism,” Mr. Carlson said. Trumpet Behavioral Health offers evidence-based applied behavior analysis (ABA) therapy to children with autism spectrum disorder (ASD) and other developmental disabilities. A team of more than 950 passionate and highly skilled individuals, including numerous Ph.D. and Master’s-level Board Certified Behavior Analyst® and Board Certified Assistant Behavior Analyst® professionals, provide center-based, school-based and home-based services throughout Arizona, California, Colorado, Illinois, Kansas, Ohio and Texas. For more information, please visit www.TBH.com.